I just moved to Gray Court from Orlando. I'm fiending for some meets or cruises! If you're on facebook, look up SCVWAA. And as mentioned previously, Cars and Coffee is the 4th Saturday of every month in Michelin's back parking lot off of Pelham Road. Thanks a lot! Just submitted my request to join. I totally forgot that there's 5 Saturdays this month I'll just have to wait until next month. Gray Court? You move for ZF? If you ever have any metal recycling come see us at M&M on HWY 101. I'll be sure to keep y'all in mind. I've passed by a couple of times. I had a great time at the Farm this weekend with my son. Great turn out and fun to watch Pat Downs run 5.90's. Quite a few cars in the low 6'sand high 5's. Pro outlaw Ghia went 5.74. Lots of nice show cars also. We took my Jetta and it rode real well fro the 360 mile round trip bout 35 mile to the gallon. Well back to work. Hope you all had a great weekend. Who will be out at Euro Auto Festival this weekend? I wanted to go to Farmington, but it just wasn't in the cards for me. I'll be there, spectating. No way I'm paying that much for register for a show. Best show in a while at the Farm. I will be there spectating also. My 65 already won at this show in 2010 & 2011 ,first in class and best paint corporate award from BASF got invited to the banquet and all. Had a blast! The 48 isn't ready yet so I just ordered an event poster and will pick it up while I'm there. fouckhest , You showing the blue car? Whats up guys, long time lurker and new member here. 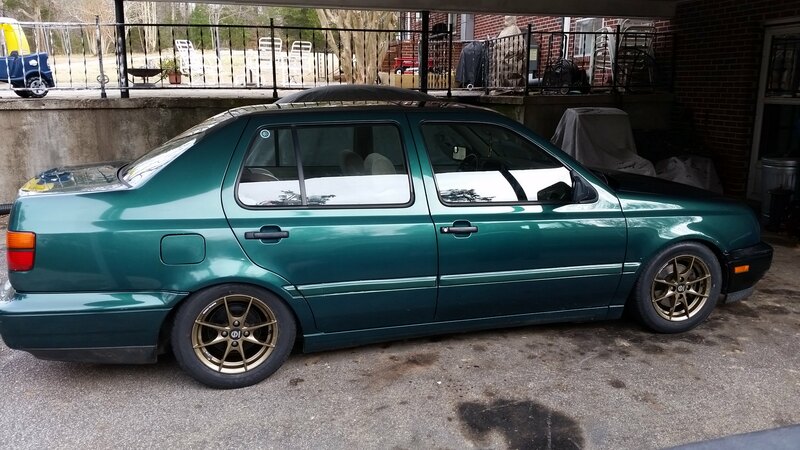 recently picked up a MK4 Jetta VR6 with 45k original miles and also have a VR6 swapped MK1 rabbit in the garage, figured why not finally sign up. im actually in NC but pretty close to the boarder. Well my wife's new Q5 finally came in. I had the windows tinted, calipers Powder coated red , and smoked the front ambers. I debadged the rear when she got home. Hope all you Greenville folks have a happy holiday season. Last edited by JDII; 01-22-2018 at 10:22 AM. 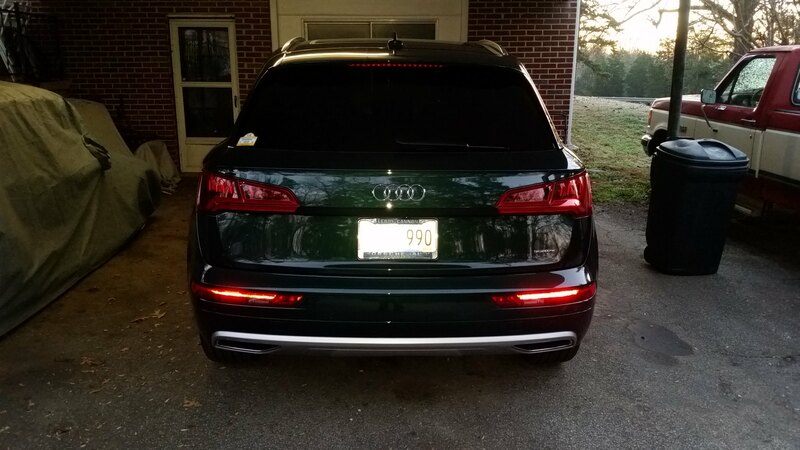 Well my wife's new Q5 finally came in. Thanks! She loves the color also. Q5 is great for her and my son. Happy New Year to all the upstate folks! I think I remember seeing that Q5 come through the dealer. Everyone who walked through the shop mentioned how different that color is. 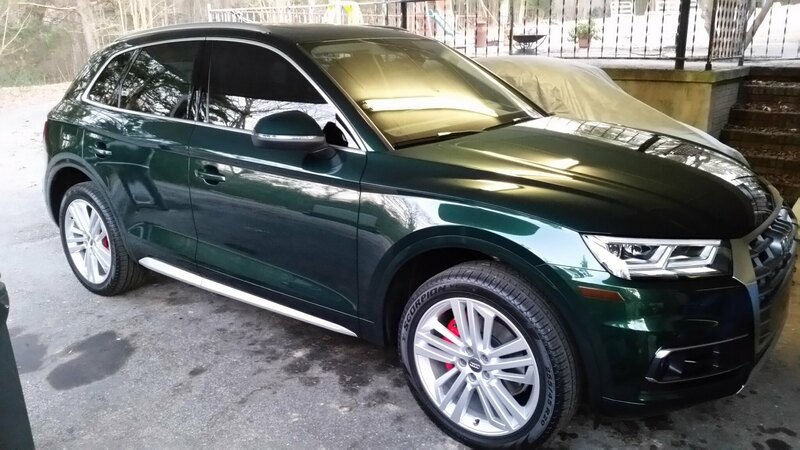 Yea you don't see many green q5's. The color has a lot of movement in it . It changes with lighting. She told Anthony and Terry not to allow anyone to order any more in that color in the Greenville area! All the folks at Greenville Audi take care of us. I was talking Tou this week and Randy is great also. Thanks for what you do there. Last edited by JDII; 01-22-2018 at 10:23 AM. Still rolling a year later! Southeast to the top! I sold my mk3 not too long ago. Guy from Dayton, OH flew down and drove it back. I miss the torque of the TDI, but the CC that replaced it is fun, too. I always loved the lines of the VW CC. Congrats to both of you! Last edited by JDII; 01-18-2019 at 12:36 PM. Yep. Picked it up at the end of September. 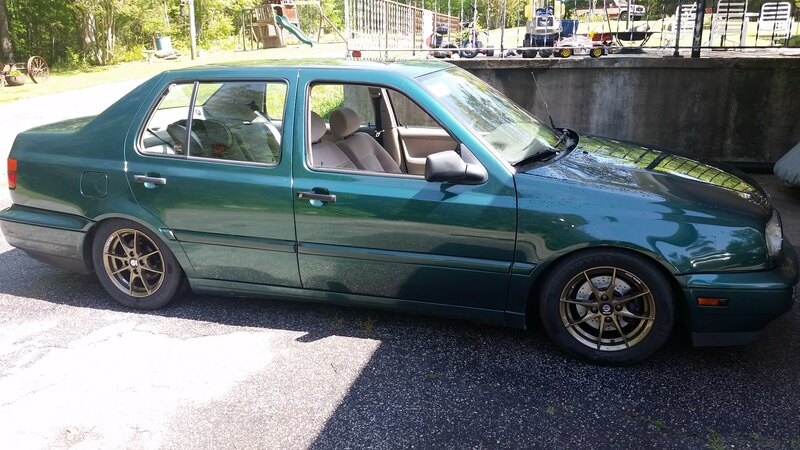 Sold the mk3 mid November. As much fun as the TDI was, I wanted something newer that I could enjoy but also not care about at the same time. If somebody had run into the mk3, I wouldn't really have been able to easily replace it. If somebody runs into the CC, then I'll just go get another one. I just wish the manual had been available with the 3.6. I opted for the manual over the 3.6, though, and I think I made the right decision.